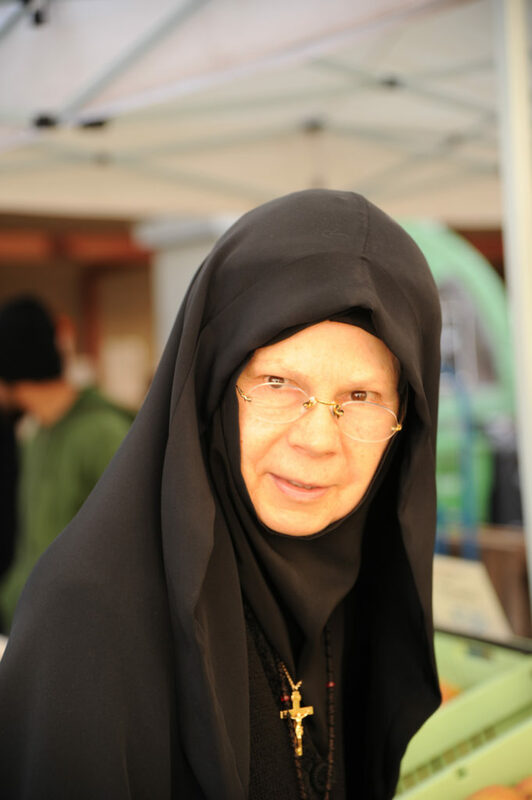 While visiting San Francisco"s recently, I encountered this woman at The Ferry Terminal Building's green market. Her habit was a sharp contrast to the colorful surroundings. She agreed to my taking her portrait after a short conversation.